Canton, Mass. (January 30, 2012) – Baskin-Robbins, the world’s largest chain of ice cream specialty shops, today announced the signing of five new franchise agreements to greatly expand the brand’s presence in China. 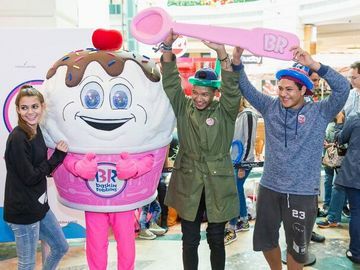 The new franchise agreements include plans to open 249 additional Baskin-Robbins shops across China over the next 10 years, more than tripling the brand’s presence in the country. Wuhan Baba Commerce and Trade Ltd. plans to develop 50 locations in Hubei province over the next 10 years. Tianjin Aishike Catering Management Co., Ltd. plans to develop 39 shops in Tianjin City over the next 10 years. Hebei Banno Food Service Co., Ltd. plans to develop 50 locations in Hebei province over the next 10 years. No. 31 Shenyang Cold Beverage Co., Ltd. plans to develop 50 shops in Liaoning province over the next 10 years. Beijing Rongshengyuan Dining Culture Co., Ltd. plans to develop 60 locations in Shandong province over the next 10 years. Baskin-Robbins currently has more than 90 locations in China, including shops in Beijing, Shanghai, Xi’an, Hangzhou and Zhengzhou. It offers its guests a wide range of ice cream flavors and frozen treats, including ice cream sundaes, ice cream cakes and frozen beverages. 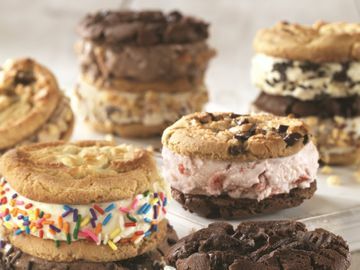 Its shops offer classic Baskin-Robbins flavors including global favorites like Mint Chocolate Chip and Very Berry Strawberry, along with regional favorites like Green Tea. On a worldwide basis, Baskin-Robbins has nearly 7,000 locations in nearly 50 countries around the world.